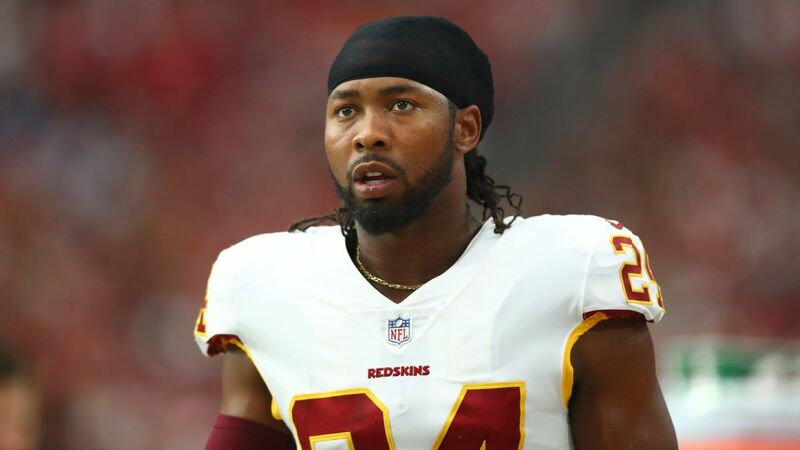 ASHBURN, Va. --Washington Redskins corner Josh Norman called Eric Reid's comments earlier in the week a slap in the face to the Players Coalition, criticizing the Carolina Pantherssafety Thursday. Reid went after Philadelphia Eagles safety Malcolm Jenkins Sunday, first on the field during the coin toss and then with his postgame comments, claiming that Jenkins and the coalition had "sold out" to the NFL and had co-opted the message from Reid and Colin Kaepernick. "To hear Eric come out and do what he did it's almost like, wow it's a slap in the face," Norman said, "because Malcolm has been nothing but stand-up in the Players Coalition, like nothing but stand-up, and everyone knows that. "For him to take a shot like that ... he's not only taking a shot at him, he's taking a shot at everyone in the Players Coalition." Norman spoke to the media for 16 minutes, 46 seconds Thursday, with more than nine minutes devoted to what happened Sunday between Reid and Jenkins. Norman's first response -- to a question on whether he had a comment on what happened -- lasted approximately four minutes. Norman referenced an article on The Undefeated that laid out the issues between Reid and Kaepernick in particular and the coalition. Reid said Sunday that Jenkins had "co-opted" the movement that Kaepernick began. The Undefeated article spelled out the reasons for the conflict, starting with the owners meeting in Dallas last November. The coalition was going to meet with the owners to discuss social justice issues and eventually received $89 million to help with its causes. Reid and Kaepernick did not attend. Other players broke from the coalition as well, partly because they wanted Kaepernick, whose initial pregame actions in 2016 started the dialogue, to represent them to the league. "Our take was I'm sorry, but if guys voted for him to be that then OK so be it, but it wasn't that," Norman said. "He started something at that time in which everybody saw but what did he do with that? Where was the ball carried from that? What is it doing now to the point where someone can get behind? "If that's your agenda, to have someone who is the leader of something, I don't feel like the leader is being backed by one person. A leader has to be backed by everyone. And if they decide they don't want to go that route, then hey, you're not going to show up? We don't know what direction you're trying to go in. We're all trying to go in the direction of helping people. That is the main objective here. It's not who gets this or -- it's not a parade here." Norman also didn't like that lawyers got involved last year, such as when one of Kaepernick's attorneys formally requested that Jenkins admit that Kaepernick had not been invited to an October meeting between some players and owners, an assertion that was contradicted by Jenkins and other members of the coalition. "I can't respect that as a man," Norman said. "You've got to come and talk to us directly." Norman pointed to the community work done by players in the coalition such as Jenkins, Demario Davis and Anquan Boldin, among others. Kaepernick has been active as well. Norman said he called Reid twice this week, but never talked to him. A week before facing the Eagles, Carolina played at Washington. There was no confrontation between Reid and Norman. "Eric knows his stuff," Norman said. "I'd tell him the same thing. He saw me the week before everything he did. He could have said that. But I just feel like that all is for show. "If you want to be a parakeet: 'What you say, Kap?' 'What you say?' You can say that all you want, but the thing is, you can't tell another man what they doing if they're not gonna come in here and be a man about themselves and tell us the direction of what you want to do." Norman said he wasn't trying to shun Reid, but that he wanted the facts to emerge regarding what happened last November. "At the end of the day I don't really care about all that outside stuff," Norman said. "That's all for the shows and the glamour and the Instagram and what you take pictures on. No this is all realistic stuff here. "What's your agenda? Is it to play football or is it to go in someone's face about what you feel like happened to you?" Norman said. "In that case you could have burned me last week, I'm part of the group. He didn't do that. Like I said you have your own agenda about what you want to do, follow that, whatever, do your own thing, be merry with each other, that's cool, be merry, run around the merry-go-round. "Best to him and his homeboy Kap and whatever they got going on. Best to them. Whatever." For Norman, it comes back to leadership, and he likes the direction Jenkins has provided -- and did not like what he described as the lack of leadership previously. "I can't follow you into the abyss," Norman said. "I mean you got to have a plan, you got to have something in motion." Josh Norman doesn't understand why Eric Reid would take a shot at Malcolm Jenkins as he has always "been nothing but stand up."